Our beautiful, large group self-catering holiday accommodation. 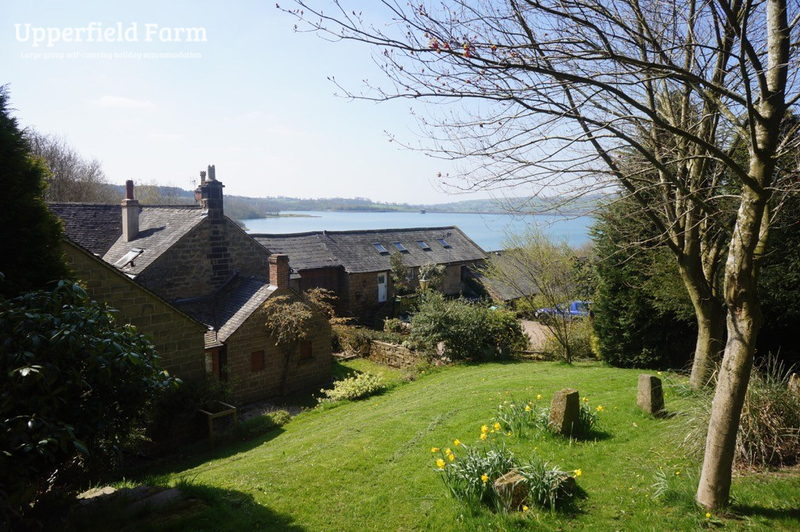 Our gardens look out onto carsington reservoir. 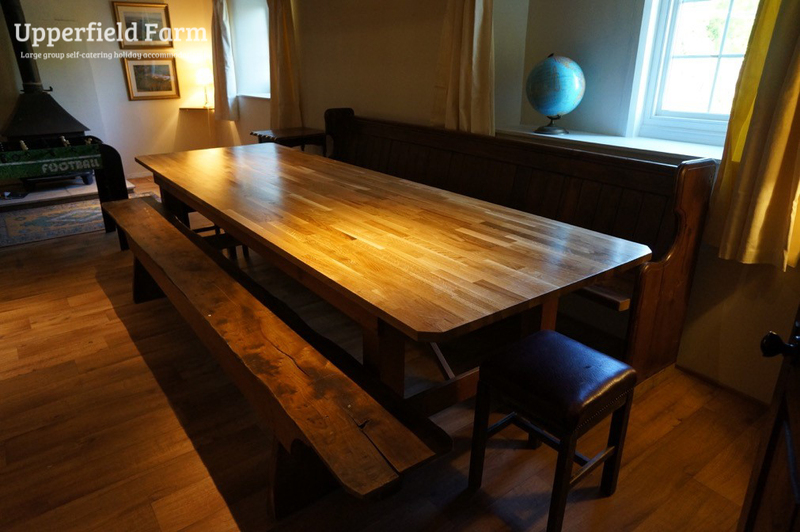 Enjoy your group meals at our spacious dinning table. 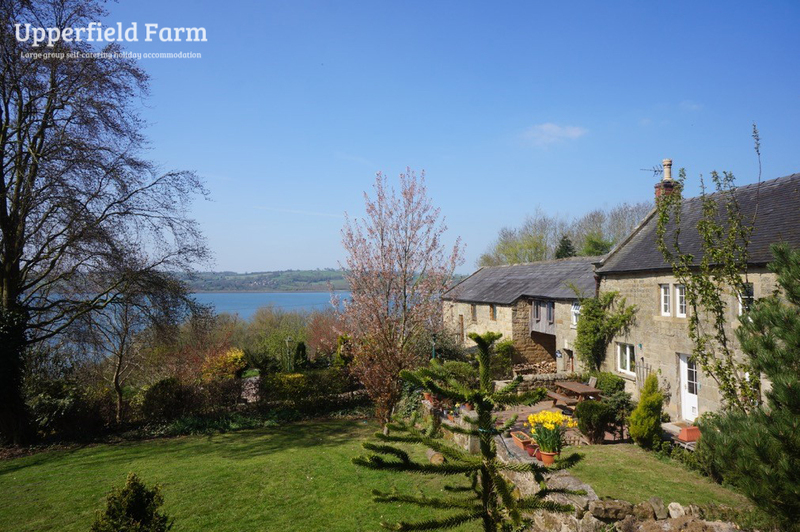 Upperfield Farm, sat on the shores of Carsington Water is a fantastic place for families and friends to gather together and enjoy the surroundings. 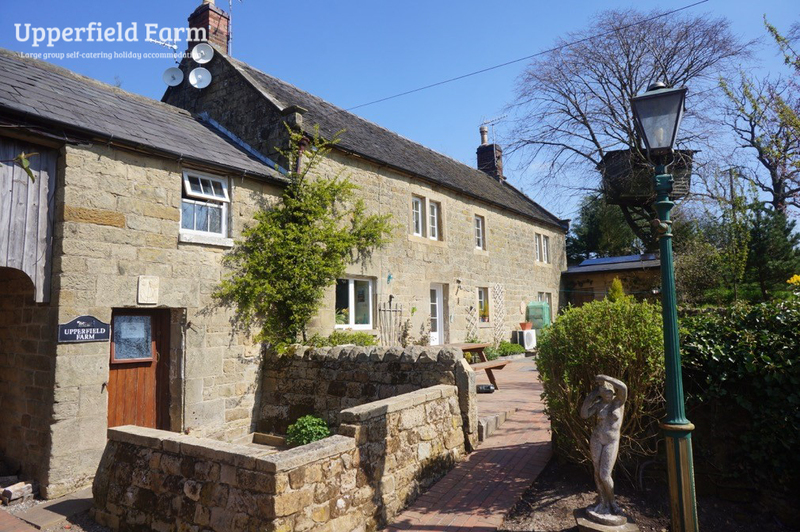 Our large group holiday accomodation in Derbyshire situates the farmhouse by a no-through road so is very quite, peaceful, and safe for children. 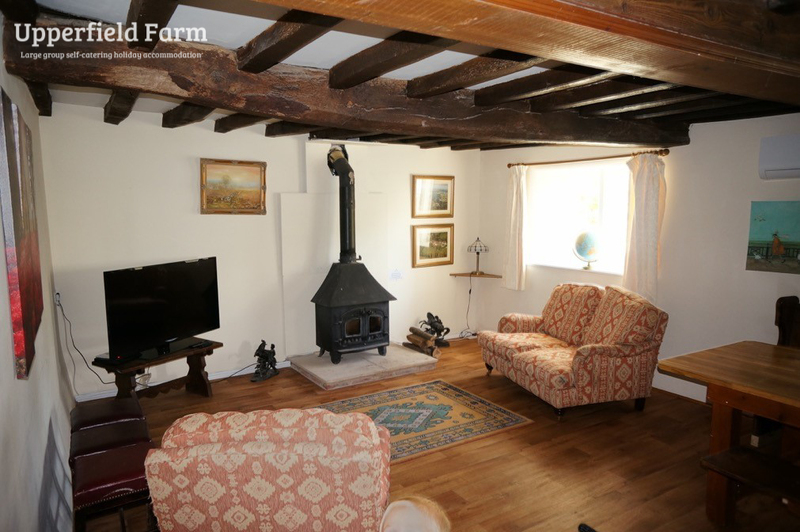 This characterful, old farmhouse provides comfortable and rustic large group accommodation with sleeping space for 22 guests in 10 bedrooms, spread over 2 floors plus a large living room for everyone socialise together. 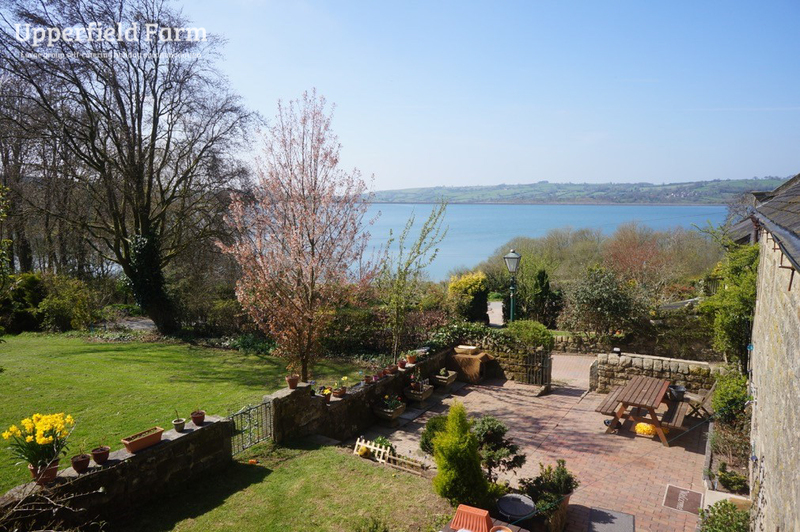 Many windows have stunning lake-views, or green countryside to look out over.